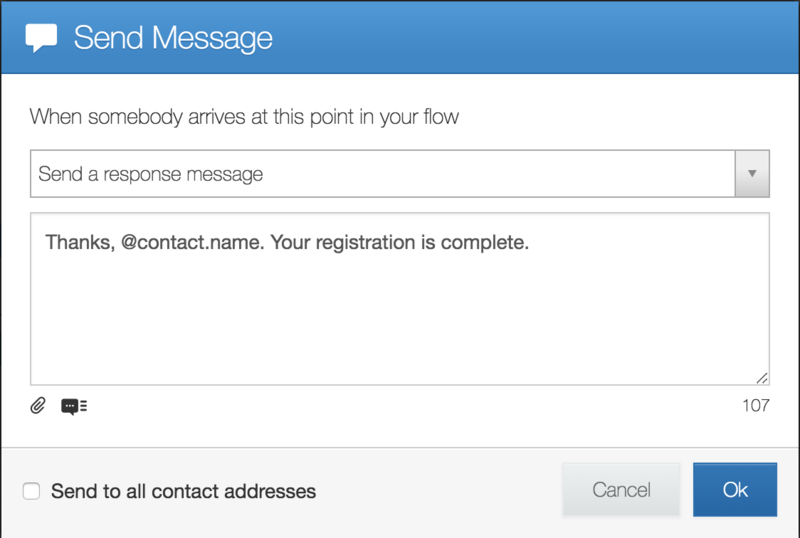 A channel is a phone number or social network account which we can use to send and receive messages on your behalf. 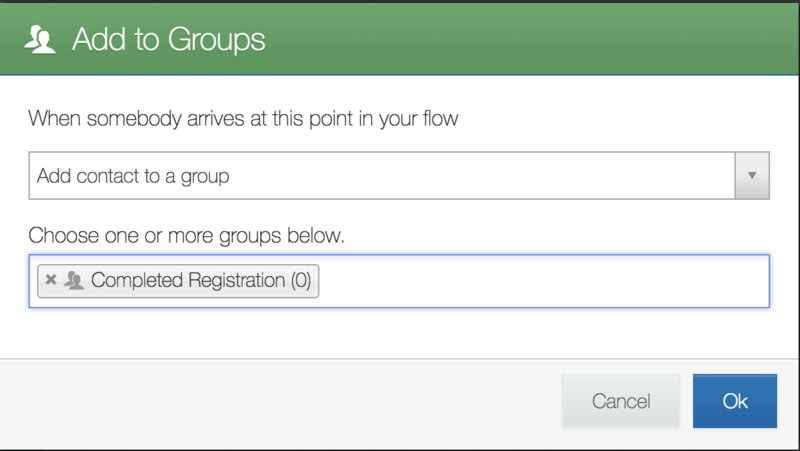 It's important to understand that your flows won't send if there is no channel connected! Learn how to add your first channel here. After you've connected your first channel, you're ready to start mastering flows. 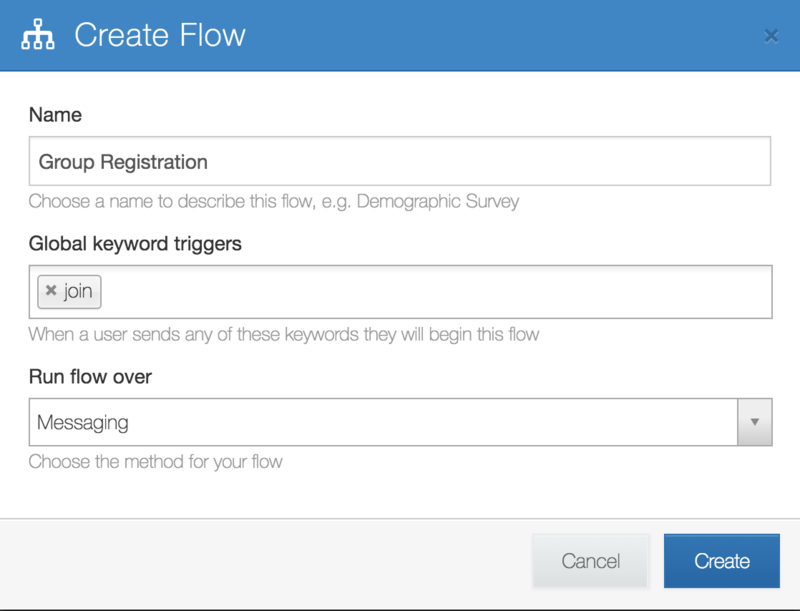 To view sample flows and start building, click on the 'flows' tab at the top of your account page. 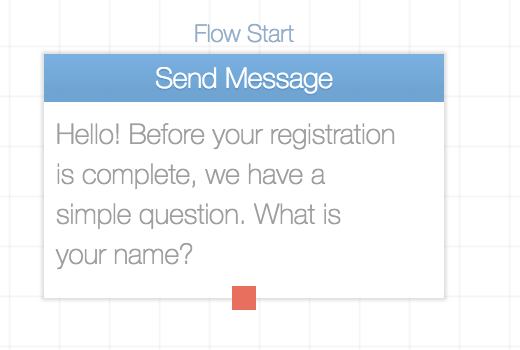 A dialogue box will pop up asking you to create a name, keyword trigger & choose a flow type. 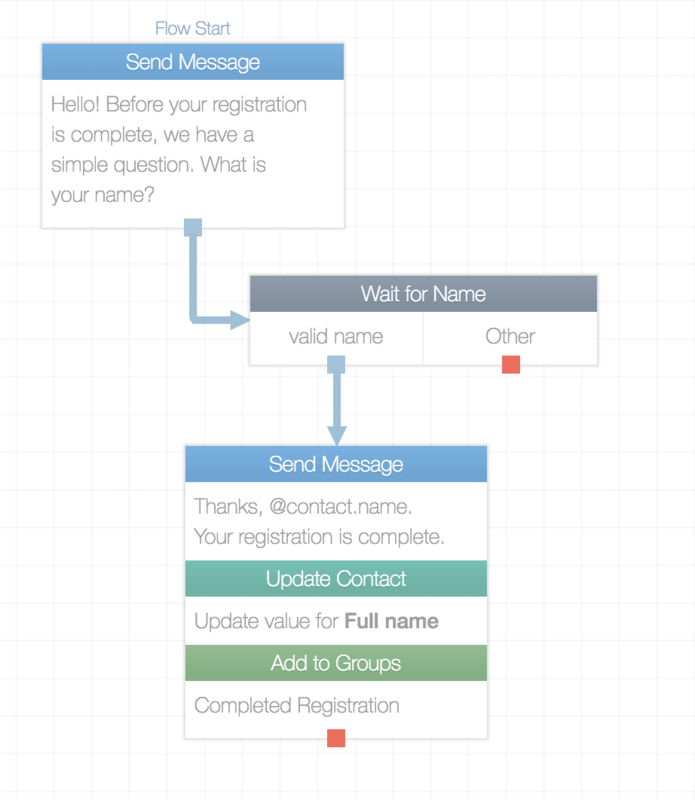 In this example, we're going to create a registration flow. 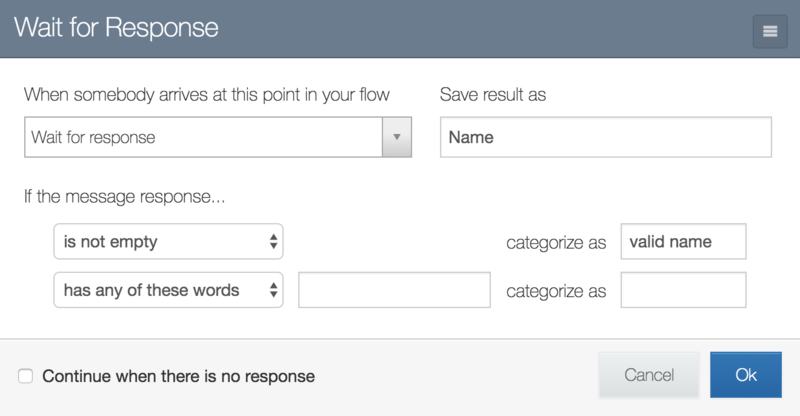 After clicking 'Create', you'll be brought to your new flow's flow editor. 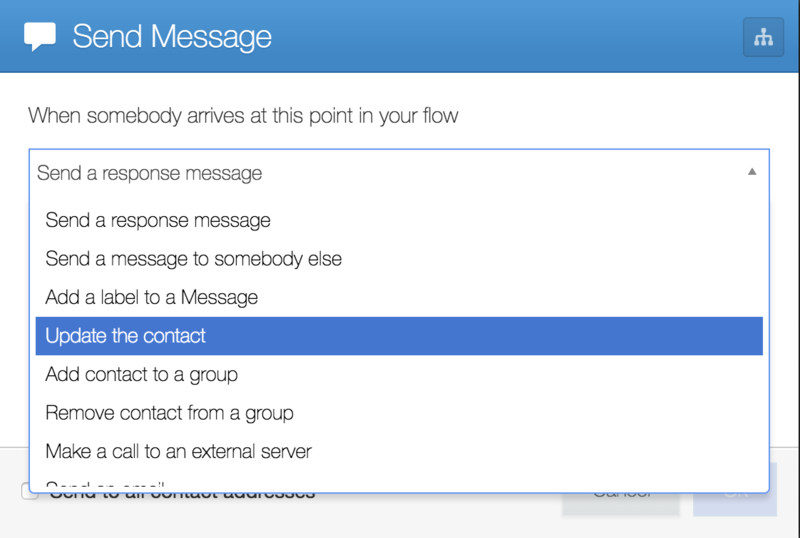 The 'Wait for Response' RuleSet will automatically appear. 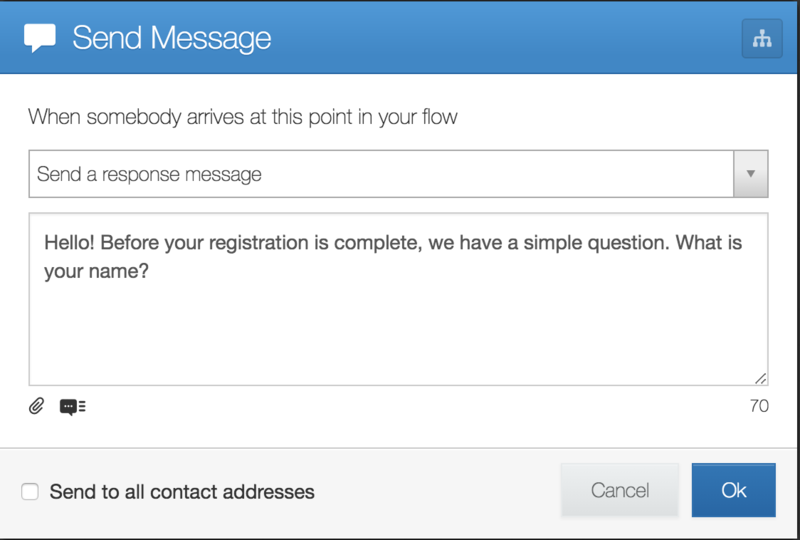 In this case, we want to save the result as 'Name' and we'll let our contacts' replies be open-ended, so we'll choose 'is not empty' for our message response rule. 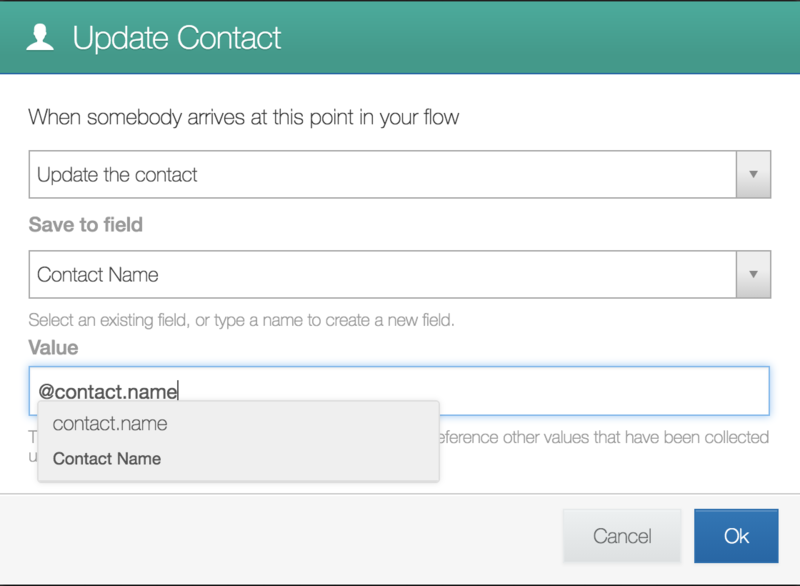 Since we want to save the contact's name, we'll choose 'Contact Name' from the 'Save to field' dropdown menu. In the 'Value' field, typing the '@' symbol triggers an auto-complete drop-down menu containing a complete list of available variables. 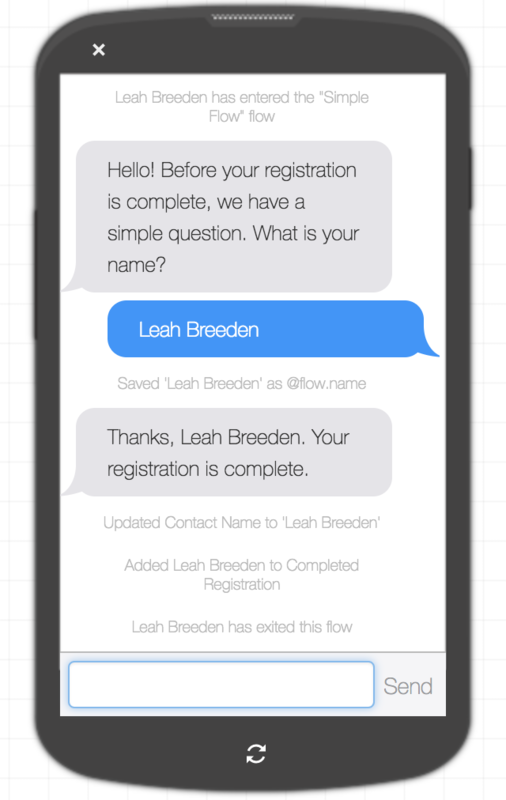 In this case, we want to use '@contact.name'. By creating this flow, you've mastered the basics, and you're ready to start building more and more complex flows. Check out the extensive library of Help Docs in our Help Center or send us a message via the support widget in the bottom right corner.